Managing an emergency network is a significant responsibility: ensuring you comply with current legislation and best practice, keeping the occupants of the building safe at all times, and keeping energy and maintenance costs as low as possible. Stand alone emergency lighting systems have been common in New Zealand, mostly with basic mechanical timer testing and no automated reporting or alerts. Such systems usually run completely independently of the lighting control system for the building. New buildings should be looking at more technologically advanced systems for emergency lighting control. Overseas, systems allowing full software reporting and scheduling are becoming standard. 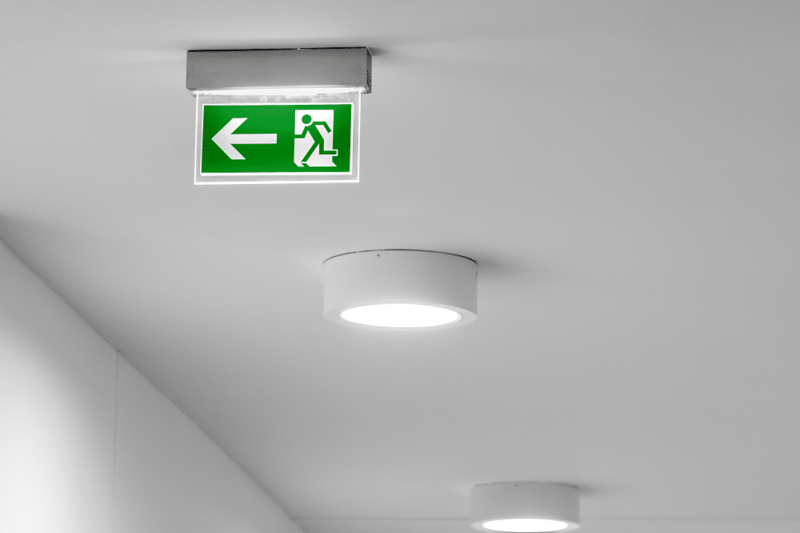 With DALI rapidly becoming the solution of choice for modern lighting control, it makes sense to incorporate the emergency lighting into the DALI system, allowing a complete and seamless monitored solution. The ideal emergency monitoring solution should be easy to use, and make it simple to ensure all compliance obligations are being met. Such a system should be scalable to suit from the smallest residential fit out, to the largest commercial installation. The emergency lighting control system we recommend and commission ensures the safety and integrity of your emergency lighting system with revolutionary automated monitoring and reporting. It can simply integrate with DALI on the same lighting network, or on a dedicated DALI emergency lighting network. DALI has fast become the global standard protocol for lighting control. DALI components allow the creation of a cost-effective, totally flexible, and decentralised lighting system. DALI is less expensive and much simpler than building management systems. Using interfaces and converters, DALI components can be combined with any building management system. The emergency lighting system software runs on a Windows™ based PC and allows identification of fixtures on the network, and creation of test groups. Tests can be automatically scheduled, with detection of schedule conflicts so best practice is assured. Visual graphics show devices that pass and fail a test. Those that fail are broken down by lamp or battery type. PDF reports on passed/failed devices (including type of failure) are created with alerts sent to specified contacts. Reminder emails are sent weekly if failed DALI devices remain unfixed. A weekly or ‘on demand’ check will detect any missing DALI devices and also shows on the dashboard. Reports can even be emailed automatically to the appropriate maintenace contacts. Automated compliance testing ensures your emergency lighting system meets all current standards.